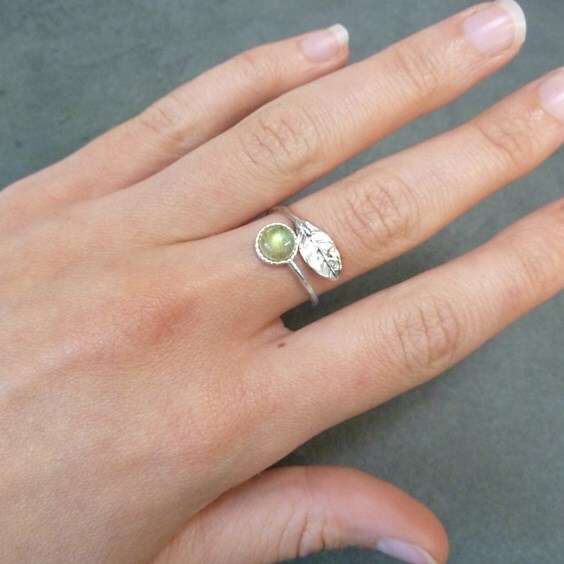 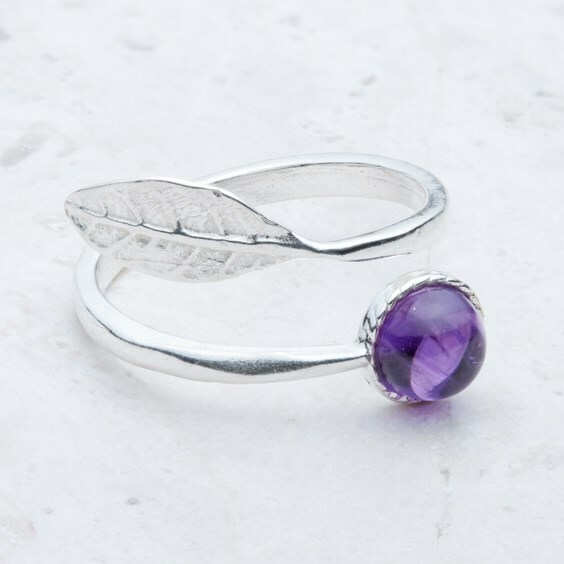 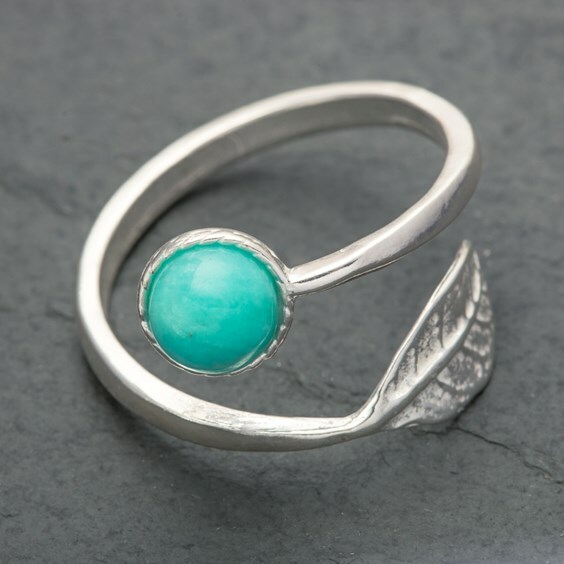 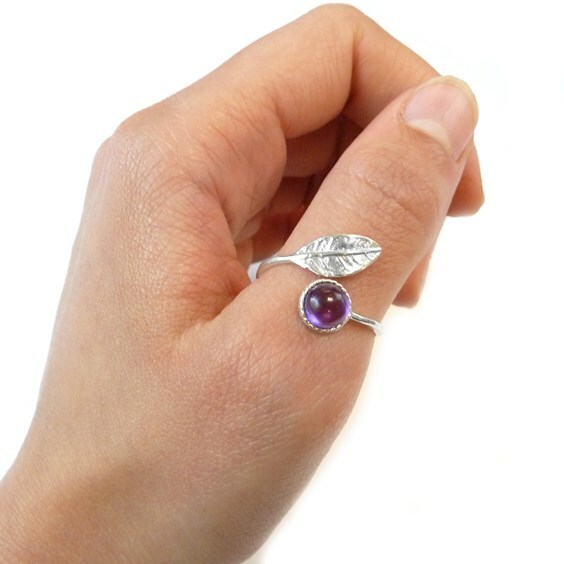 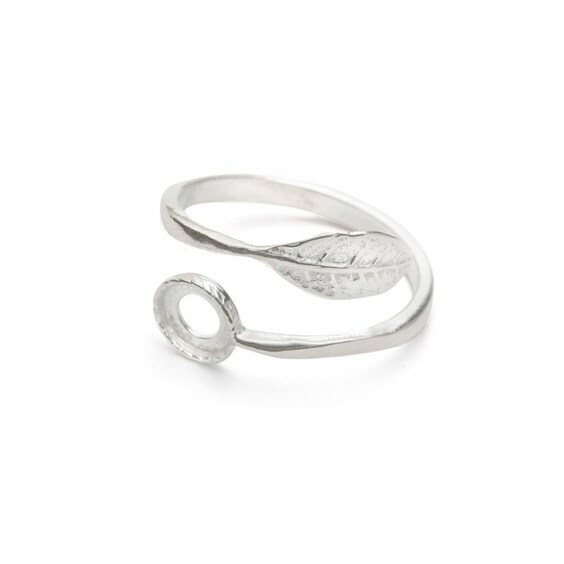 This leaf ring is ideal for a for a whimsical 'back to nature' look and the beauty of this style setting is that it`s so easy to set - simply place your 6mm round cabochon into the setting using our clear setting C20 Devcon epoxy glue to hold the stone in place. 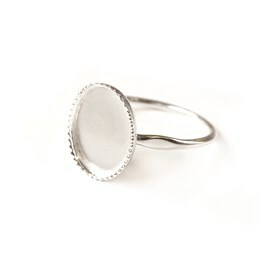 Unlike regular bezel settings, there`s no need for filing or polishing! 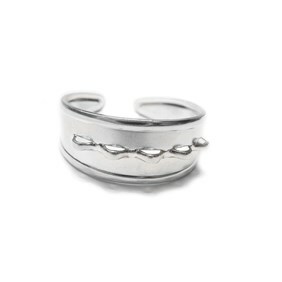 As the band is adjustable, it is perfect for a gift. 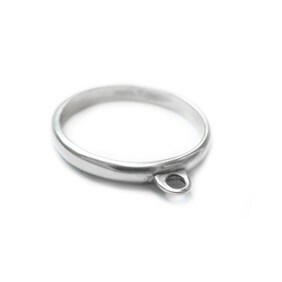 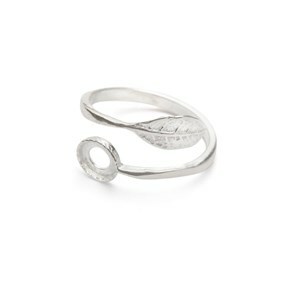 The wrap around design of this ring will allow a small amount of careful adjustment. 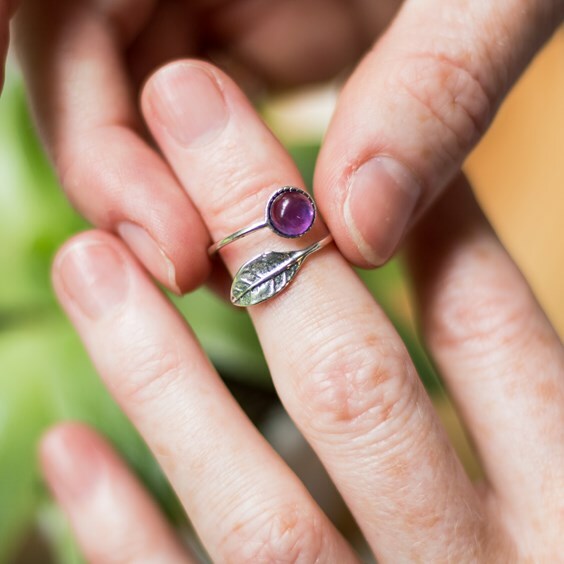 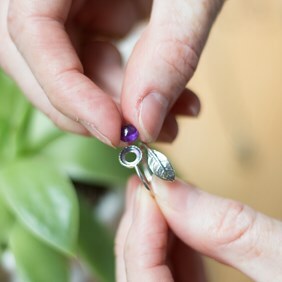 Whilst this is common sense, we would remind you that repeatedly adjusting the size by bending the wire open and closed will weaken & damage the metal, as will bending the leaf, which due to the design is made of thinner metal than the shank of the ring. 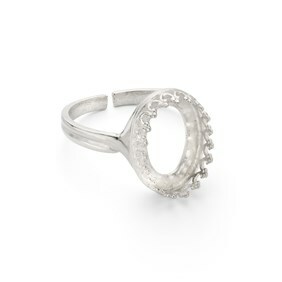 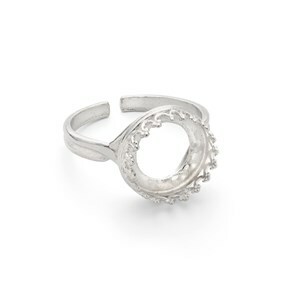 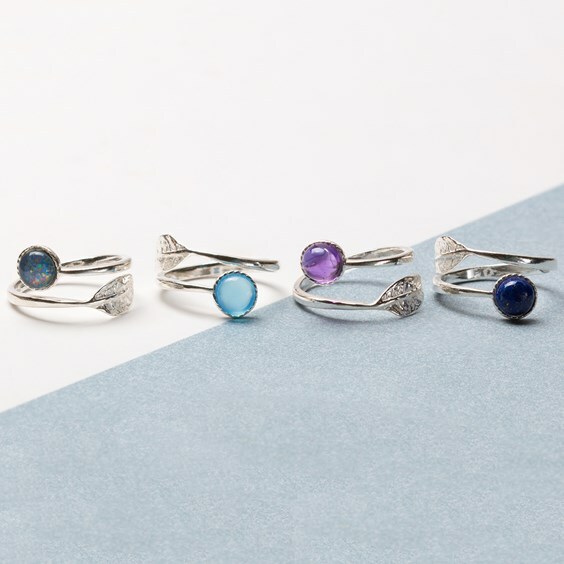 We would suggest gently squeezing the sides of the ring to fit your finger on the first wear and then sliding it over your knuckles as you would a regular closed ring band.